The San Francisco Silent Film Festival Starts Tonight! It’s here, readers! Backlots’ annual coverage of the San Francisco Silent Film Festival starts tonight. As usual, I will be enabling live tweets on the blog, and posting every evening about the day’s adventures. For more information about what is going on this weekend, please visit the San Francisco Silent Film Festival website at http://www.silentfilm.org. There, you can buy tickets, find the full schedule, and get the lowdown on what the Silent Film Festival does year-round. It is a wonderful organization dedicated to the preservation of our silent film heritage, and it partners in many restorations and rare screenings of silent classics. Check them out! 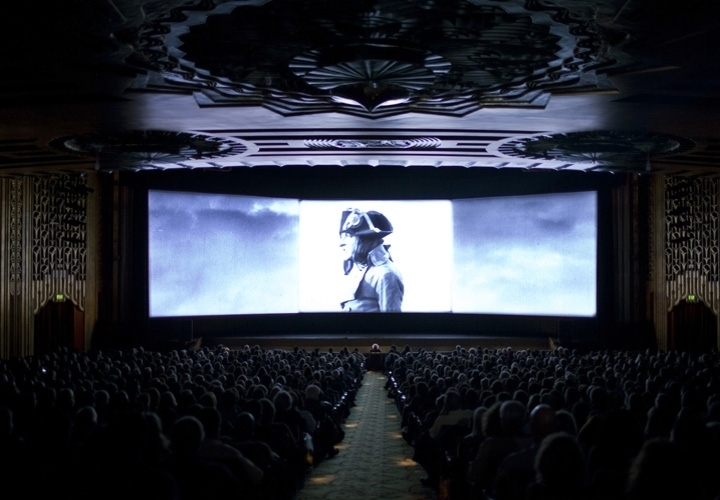 In 2012, the San Francisco Silent Film Festival screened Kevin Brownlow’s masterpiece restoration of Abel Gance’s NAPOLEON at the Paramount Theatre in Oakland. Over the course of 4 days, 10,000 people packed the theater. If you are in the Bay Area, I encourage you come to at least one screening. You won’t regret it. My mother, who previously knew little to nothing about silent film, came with me several years ago to the festival’s screening of Wings with live foley accompaniment. She was blown away, and couldn’t stop talking about it. Since then, she has come with me to multiple screenings at the festival every year, and has become a bona fide silent film fan. This is what the Silent Film Festival strives to do–to create new interest in silent film and delight longtime devotees–and it succeeds beautifully. So if you’re in the Bay Area, I hope to see you there. If you are not, follow along on the blog and on Twitter. It will be a great time! This entry was posted in Lara Gabrielle Fowler and tagged castro theater, napoleon, San Francisco, San Francisco silent film festival, Wings. Bookmark the permalink. Someday I must visit this glorious San Francisco with it’s huge annual used book sales and it’s fabulous silent film festivals!